Lamar, Newton, Pike, Rockdale, and Spalding Counties. 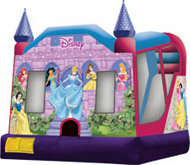 They will have tons of fun inside this Cool Castle! 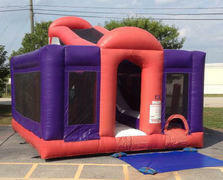 This piece has a 13ft x 13ft Bouncy area with inside basketball and a 10ft Dual Lane Slide. 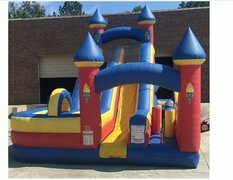 This piece comes with a bouncy area and a climb and slide area. 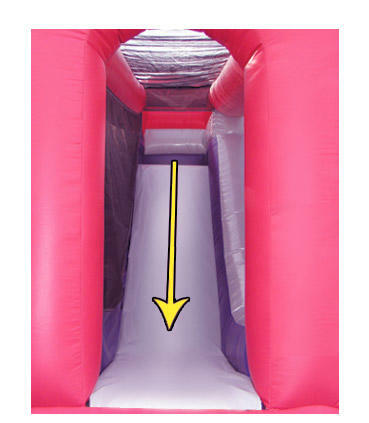 Grab an opponent and race to see who is the fastest...Crawl Tunnels, Log Crawl, Pop Ups, Log Crawl, and Port Holes. 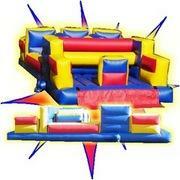 This also attaches to the Safari Jump/Dual Slide Combo for even more fun! 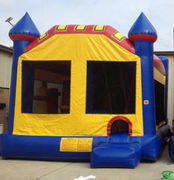 This piece is 55ft long....Jump, Shoot, Climb, Slide, and Obstacle Course Fun! 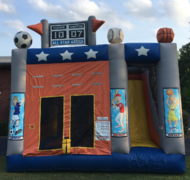 Grab an opponent and race to see who is the fastest!! 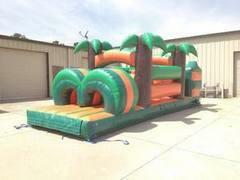 This item is a lot of fun as it combines and 18' slide with an obstacle course that has pop up and a tunnel. 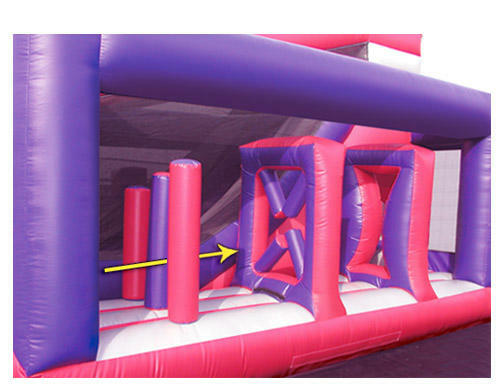 Due to the high level of setup difficulty, this inflatable in only available for Delivery. 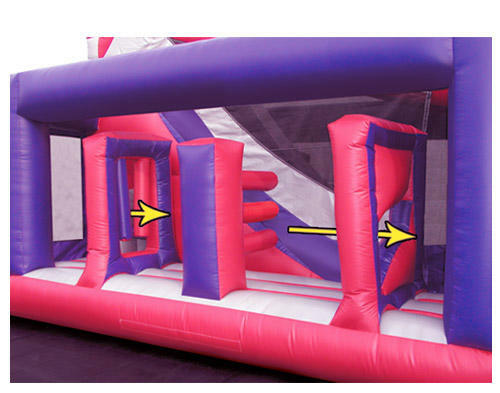 This Red & Purple unit has a total of 70ft of Obstacle Fun! 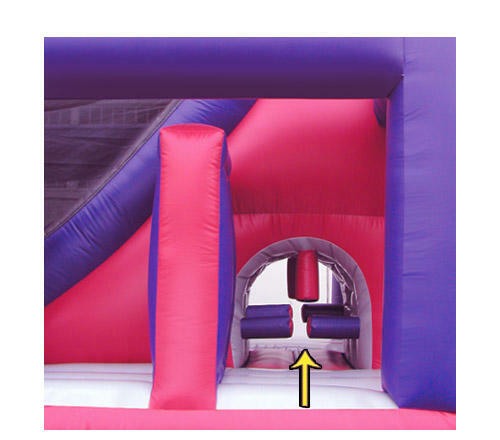 Includes six obstacles, crawl tunnel and a 12ft slide.